This Shiraz offers lush berry aromas that beg for a hearty whiff. A wine of ripe fullness, its concentrated blackberry fruits and fragrant spiciness are a delight on the tongue. It has the uncanny quality of allowing early consumption despite its complexity and bigness'. Robust and lively, Australian Shiraz is a savory treat. 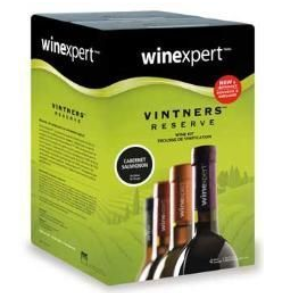 WinExpert's Wines from Australia, California, South America and Europe are represented in the World Vineyard Collection. These wines are perfect if you enjoy versatile wines which don’t require extended aging but still offer distinct flavours from some of the great wine regions in the world. Each kit contains 2.6 gallons (10 liters) of wine must, yielding 5 gallons (23 liters) of high-quality wine in as little as four weeks.